When we come home from work feeling drained and tired, it’s often difficult to keep up with the partner and family without appearing as lethargic and uninterested. While our minds have the desire to keep pushing, a lack of energy simply hinders us from achieving our fullest potential. It’s important to know that there are several changes that you can make to your lifestyle and routine that may help to boost your energy levels. It may be something simple, like you just aren’t’ getting to bed early enough to get sufficient rest at night. Other factors can include a poor diet, lack of physical exercise, and consuming alcohol, drugs, or tobacco. Making positive lifestyle changes can help you enjoy more energy. However, sometimes we need a push of energy that takes place quickly and effectively. For this reason, many turn to energy shots, energy drinks, and pills to improve performance and get though the day. At Brain Enhancement Advisor, we provide reviews and information about the best products to enhance energy. The energy drinks and shots found in convenience stores and pharmacies are often loaded with ingredients, such as caffeine and sugar. While these may provide a boost in energy, the effects are temporary and when it wears off, you may find that you are even more tired and unfocused. Rather than relying on caffeine, select an energy shot with quality ingredients for sustained mental and physical energy. This is why we were intrigued when we heard about RuckPack – a nutritional energy shot offers wellness benefits, in addition to more energy, with a killer formula that doesn’t include any caffeine. The formula of RuckPack was created during a combat deployment in Afghanistan by the well-known marine leader Maj Rob Dyer to help soldiers in battle. The drink was first released in 2011 on Veteran’s day as a symbol of honor and appreciation for those involved in wars. Their slogan “Drink. Win. Repeat” soon became famous, particularly after RuckPack was introduced to the popular entrepreneur show “Shark Tank”, where 2 investors chose to support Maj Dyer’s product proposal. The ingredients in this RuckPack include A-GPC, theobromine, branched chain amino acids, electrolytes, MSM, vitamins D3, B6, vitamin C, magnesium, calcium, and other nutrients for cognitive enhancement and overall wellness. We love seeing that their product contains no caffeine, meaning it wouldn’t result in a bad crash at the end of the day. We ordered one pack of RuckPack with 15 bottles. Three of our members grabbed 5 bottles each and decided to take one shot per day. Within 10 minutes of taking the shot, the testers felt extremely energized and ready to go. However, they seemed to unite in using the word “driven” as opposed to “hyper” when describing their experience. They reported feeling more motivated to get things done rather than having a useless energy burst. There were, however, two major complaints: 1. They didn’t like the taste. Although the taste was bearable when the shot was taken really quickly, all of the testers weren’t too impressed with the overall taste. 2. We are concerned that it may be a hassle to carry 3-4 bottles of RuckPack in your bag every day. “I shared a bottle (from a prior purchase) with my pastor who is a Navy Chaplin. He is also tentative about ‘new products’. He texted me that he has tried it today and likes it. I have ordered another box (my 3rd) as a care package shipping directly to him. “I’ve never gotten anything out of “energy shots”, but after seeing Ruckpack on Shark Tank and how it was described as a “nutrition shot”, I decided to give it a try. I’m glad I did. Ruckpack’s the real deal. For me, I think it’s the huge dose of potassium you get from a single shot. I’ve always had more energy and mental clarity when I have 3000 – 4000 milligrams of potassium a day, but it’s hard to do that without drinking a half gallon of OJ or a ton of soymilk. 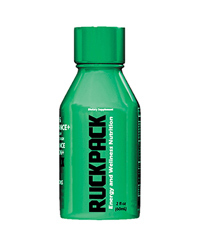 One shot of Ruckpack has 1000 milligrams, and that really does the job for me. I feel much more mentally alert in just a few minutes after downing a Ruckpack. Even better, there’s no crash, no cranky feeling later in the day. Give Ruckpack a try. You’ll be glad you did. The downside and the reason I can’t rate this more than average is that there are several other options out there for nutritional energy and most of them cost less. V8 energy drinks for example are very similar to this and cost less than 70 cents each, if you catch them on sale I’ve gotten them for less than 50 cents. They also taste better (In my opinion) because they are based in fruit juice. If you really break down what these are it is basically a vitamin water; to which you could just be taking normal vitamin supplements and water to achieve similar results. The benefit here is the faster bio availability of it being in liquid form but that same benefit exists in other water or juice + vitamin products at lower price points. This table shows us that buying the product in bulk would result in cheaper prices. While the price is generally quite affordable, there have been a lot of concerns from customers who feel as though it’s a bit too pricey for an energy drink. Nonetheless, with the results and effectiveness that RuckPack brings, we feel as though this price is suitable and would be worthwhile. Overall, mostly all customers seemed to be very impressed with their purchase of RuckPack. Those who used the product felt a great sense of lift in terms of energy, as well as an increase in motivation. If you’re someone who needs an effective kick of energy to stay productive throughout the day, then we would definitely recommend RuckPack as a healthy energy drink that will not cause any crashes or burnouts. However, if you’re someone who needs energy as well as increased focus, then RuckPack may not be a suitable option. The product is designed as an energy booster, meaning that it may enhance motivation but not particularly concentration. Focus is typically related to anxiety levels, where a decrease in stress allows the brain to function more effectively for longer periods of time without getting distracted. 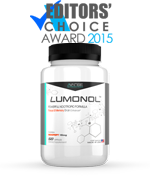 So if both focus and energy are part of your concerns, then perhaps trying a brain enhancing product, such as our editor’s #1 choice Lumonol, may be more appropriate.